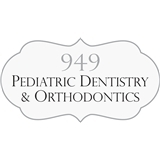 949 Pediatric dentistry and orthodontics (New York) - Book Appointment Online! We are pleased to announce the GRAND OPENING of our Pediatric Dental office. We would like to invite you to our new state-of-the-art office located conveniently in the Upper East Side. The future of Pediatric Dentistry is here today. At 949 Pediatric Dentistry and Orthodontics we enjoy nothing more than making a difference in the life of a child. We are a mercury free dental practice looking to serve the children in our community in a warm, welcoming and positive manner. She was very friendly, great personality, and professional. The whole staff was very helpful. The space is gorgeous and the staff was amazing!